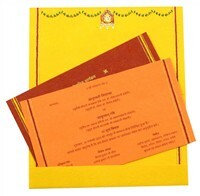 D-5362, Yellow Color, Handmade Paper, Hindu Cards. 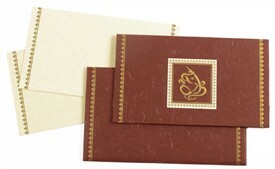 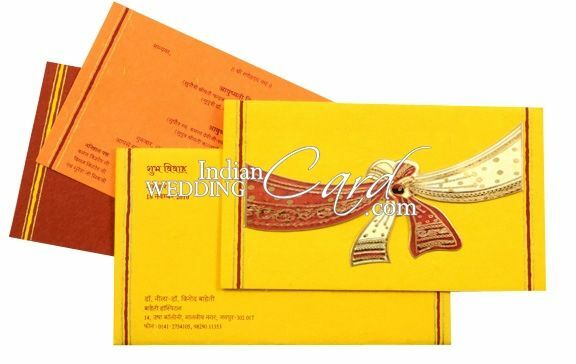 The front of card has pasted multicolor ‘Gathjor’ symbolizing bonding of 2 souls. 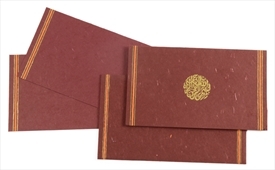 Front also has gold and maroon line border on each side. 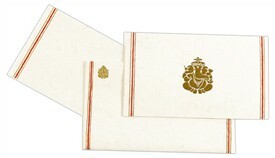 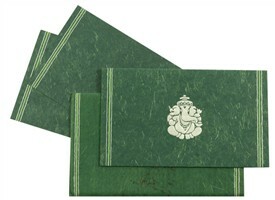 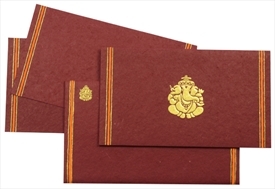 The inner fold has the same borders with top part having traditional bandarwal pattern and multicolor Ganesh pasted on top. 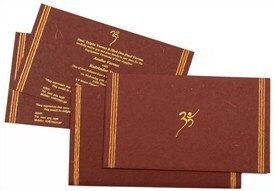 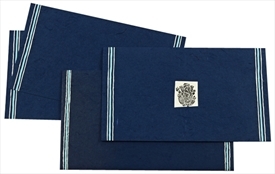 The envelope and inserts too follow the border design. 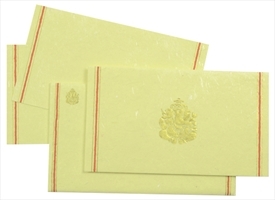 Yellow silk handmade paper (200gsm) for folding style card and mailing envelope. 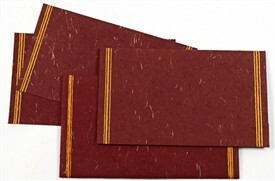 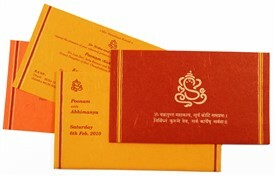 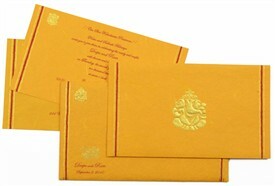 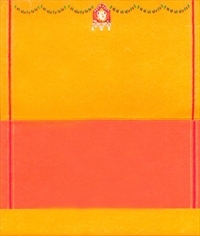 2inserts, one each in orange and red color also in silk handmade paper (200gsm). 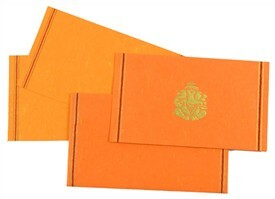 Silk Screen Printing in color matching to paper.